The latest in the dealscape in Indonesia sees oil palm plantations and wood products company Dharma Satya Nusantara (DSNG) will purchase 15 per cent of REA Kaltim, while Albizia ASEAN Opportunities Fund (Albizia) is increasing its holding in PT Catur Sentosa Adiprana Tbk (CSAP) to 14.61 per cent. DSN Group has announced plans to acquire stakes in PT REA Kaltim Plantations, a subsidiary of London-listed REA Holdings Plc. The total transaction is estimated to be around $16.8 million. Corporate Secretary of DSN, Paulina Suryanti, said, the acquisition will be carried out by the company’s unit, PT Swakarsa Sinarsentosa (SWA). The firm will purchase 650 B shares and subscribe to 1.530 new B shares issued by REA Kaltim. SWA will be pocketing 2.180 unit shares or about 15 per cent of the enlarged capital. Both parties have agreed to a possibility for DSN to increase its portion up to 49 per cent in stages, in the next five years. “The transaction price will be set later based on the amount of planted areas, net current assets and debt positions of REA Kaltim by June 2016. The deal itself is expected to be completed in October,” said Suryanti in a statement. REA has been in active discussions with interested parties primarily directed at securing a strategic third party investment in REA Kaltim. The unit has issued a total of 13,000 new shares up for grab. 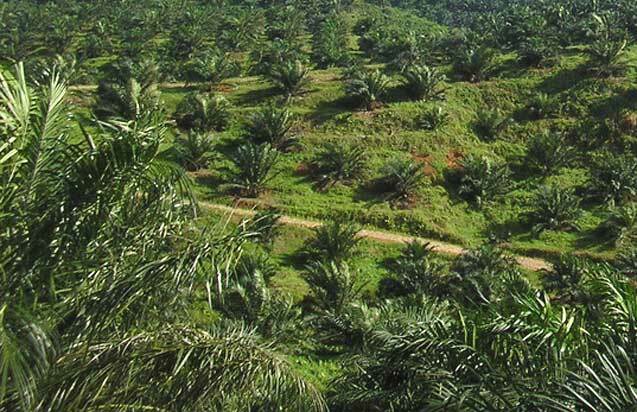 REA Kaltim owns and operates palm oil plantations and refineries in South Kalimantan, Indonesia. Up until December 2015, REA Kaltim recorded 37.097 hectares of planted areas in the region. Meanwhile, DSN’s plantation estates are based in East, Central, and West Kalimantan, with the majority of the palm oil estates in East Kalimantan located close to REA Kaltim’s estates. Catur Sentosa has announced that Albizia has purchased 280 million shares – representing 9.7 per cent floating stakes listed in the Indonesian Stock Exchange (IDX). After the transaction, Albizia became one of two largest fund investors along with NT Asian Discovery Master Fund, who owns 21 per cent in Catur Sentosa. President Director of Catur Sentosa, Budiyonto Totong believed that the new institution-based ownership structure will benefit the company in the long term, especially when it comes to raising capital from the market, maintaining good governance, and securing capital support. Catur Sentosa distributes building materials, chemicals and consumer goods through its retail store chains Home Improvement and Mitra10, as well as furniture showrooms Atria. The company owns and operates 42 branches of building materials stores in 40 cities, 4 chemical distributors, 17 consumer good distributor areas, 21 Mitra10 stores, and 10 Atria showrooms. In first quarter this year, Catur Sentosa posted revenue of Rp1.93 trillion, a 12.2 per cent increase from Ro1.72 trillion in the same period last year. The company is targeting Rp8.5 trillion of revenue by year end, and a net profit of Rp106 billion.